Born in Moscow, Russia, October 17, 1956. At the age of six started to play alto horn in a brass orchestra at the Kuntsevo District Young Pioneers House in Moscow. 1967 to 1974: cadet at the Moscow Military Music School. 1974 to 1976: mandatory military service - private in the military orchestra at the Lenin Military Political Academy, Soviet Armed Forces. 1978 to 1985: member of the Bolshoi Theatre Orchestra. 1985 to 1989: member of the Moscow State Philharmonic Symphony. In 1990, the Alperin-Shilkloper duo invites Sergey Starostin, a Moscow Conservatory-educated clarinetist and a dedicated researcher of Russian authentic folklore music, which results in the creation of Moscow Art Trio. 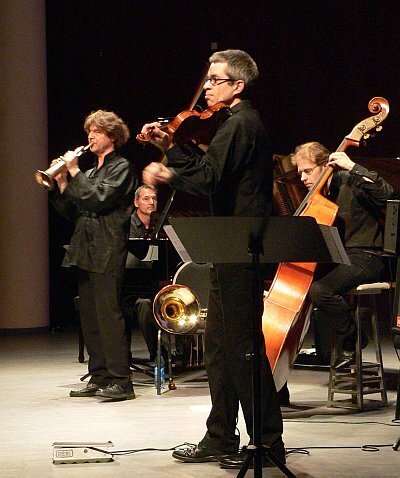 The trio tours regularly, though its members now live in three different countries; it is one of the most interesting and well-known Ethno Jazz groups from Russia. In Russia, their albums were released by Boheme Music; in Europe, by Jaro. 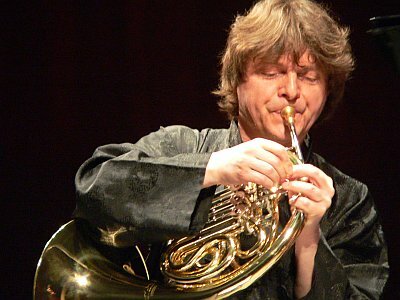 Since 1992, Arkady Shilkloper performs solo. He had recorded three solo albums. Программа "Hornology" была записана и выпущена в 1996 г. фирмой RDM, а в 1998 г. переиздана Boheme Music. 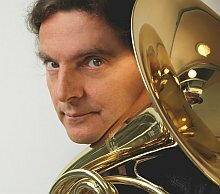 Since 1995, Arkady Shilkloper (horn, flugelhorn, alphorn) plays in Pago Libre with Austrian violinist Tscho Theissing, Swiss pianist John Wolf Brennan and Austrian bassist Georg Breinschmid. 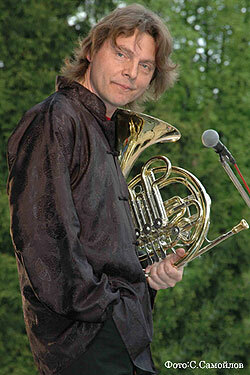 In 1998 - 2002 Arkady Shilkloper performed with Europe's leading big band, the Vienna Art Orchestra (Vienna, Austria). 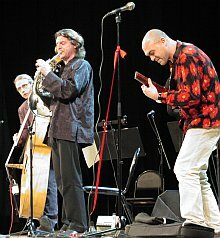 In 2000, Arkady put together the Mauve Trio with Brazilian guitar player Alegre Correa and Austrian bassist Georg Breinschmid. Their debut album, simply called "Mauve" (Quinton, 2002) was awarded the prestigious Hans Koller Prize of Austria as the "CD Of The Year"..
Arkady Shilkloper currently resides in Wupperthal, Germany. 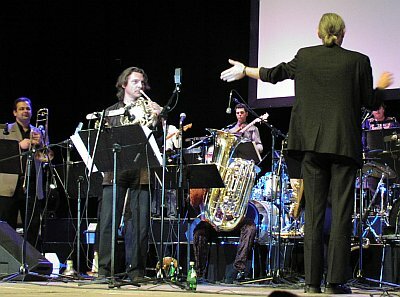 He performs in Russia regularly -- in a trio with vocalist Sergey Starostin and St.Petersburg bassist Vladimir Volkov, and also in various settings with trumpet player Sergey Pron, pianist Andrey Kondakov, bassist Igor Ivanushkin, drummers Oleg Baltaga and Alexander Zinger, etc. 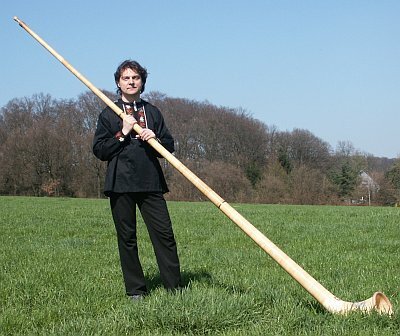 Since 1998, Arkady also plays alphorn, quite an unusual instrument for imnprovised music. 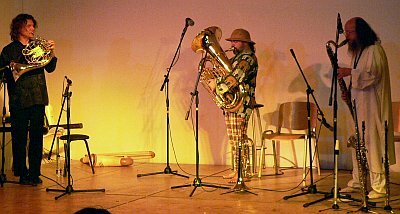 Arkady rates one of the best of the few existing jazz performers on alphorn. 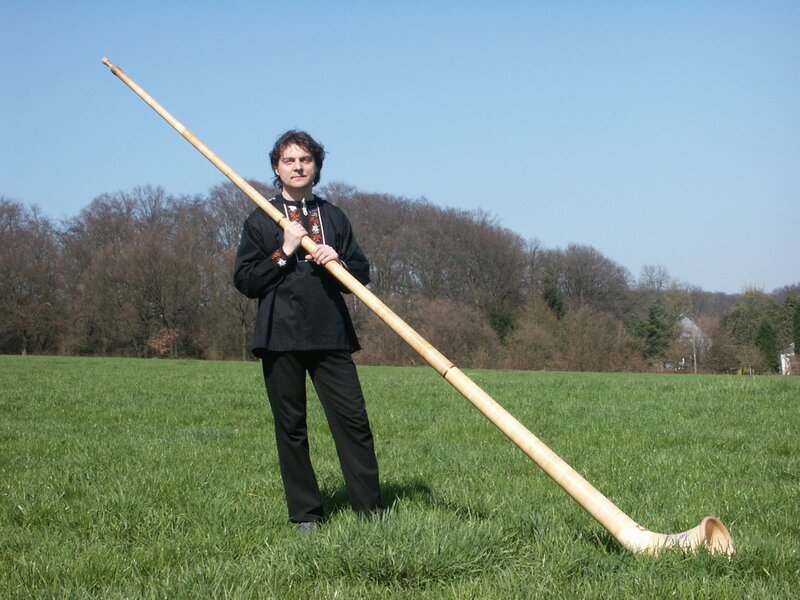 His Pilatus and Presente Para Moscou albums feature a lot of his alphorn playing. Moscow, Ida - It is a long trip from Moscow to Moscow, but for Arkady Shilkloper it was worth the effort. The Soviet French horn virtuoso was one of four Jazzmen from the Soviet Union who arrived here last week to take part in the 23rd annual University of Idaho Jazz Festival at his home town's namesake city. Shilkloper, 33, on his first visit to the United States was the artistic sensation of the four-day event. Shilkloper and his bass player swing like nobody's business. He rips and riffs and goes places that horn players aren't supposed to go without a net, map, seat belt, crash helmet, overhead air support, and a note from their mothers. And he does so with extraordinary ease and musicality. I think maybe nobody ever told him "Jazz playing on horn is very difficult, and probably not natural or perhaps the phrase does not translate into Russian. I'd walk a camel a mile to hear this guy. 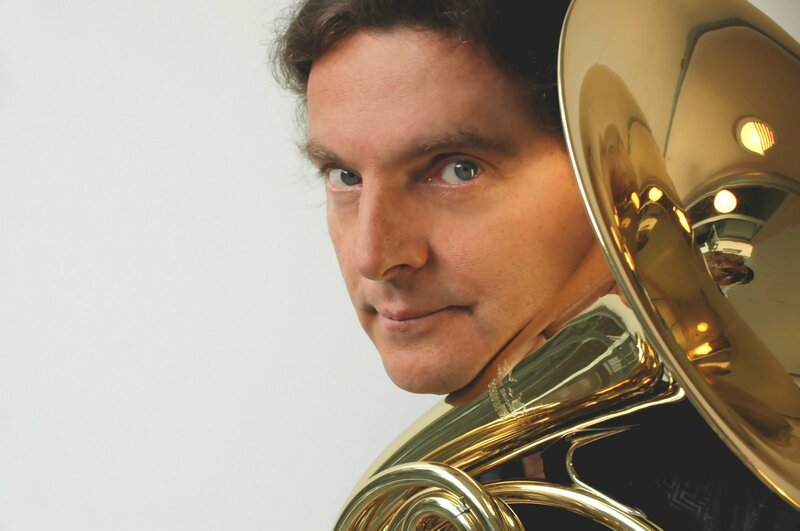 "Another was the incredible Arkady Shilkloper, who brought his French horn from Moscow, Russia to Moscow, Idaho His control of the instrument, and his blowing creativity have set a new standard, even Julius Watkins, his idol never produced such results." "Unlike other European groups... the Moscow Art Trio don't have to try to sound Post-Modem, they just are, and in a way that is what makes what they play look and sound both utterly contemporary and timeless... Once word gets out, this will be the band to book for every Festival going". Contact: arkady.shilkloper @ gmx.de (copy the address to your mail client and delete the spaces around @). Boheme Music CDBMR 906063. (2000). MIGROS. Musiques suisses. MGB CD 6246. (2006). Guests: Tuva folk Ensemble & Russian Folk Ensemble.